It’s true. I don’t speak Dutch. Not even a little. 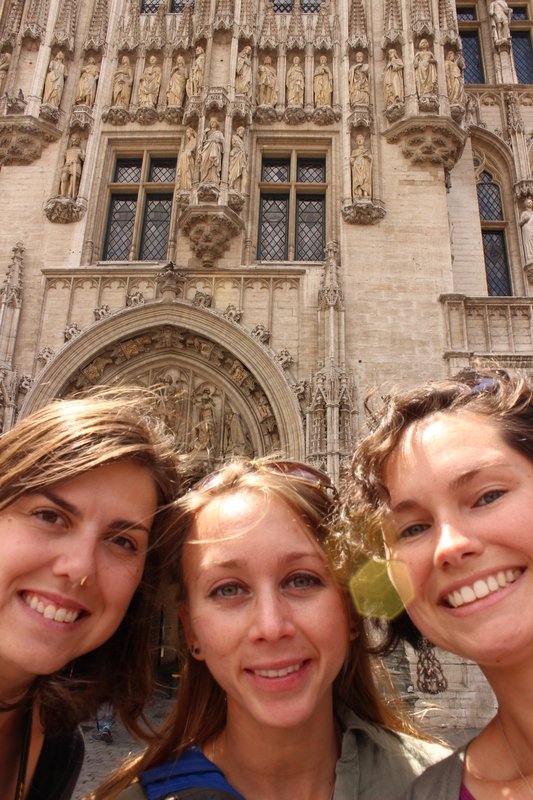 But that didn’t stop me from going to Belgium with my lovely Erin and her friend Rachel. It was supposed to be a double-date weekend for me and Alex and Erin and her husband, but then of course our husbands got sent on a training deployment. That wasn’t going to keep us from using the tickets we’d paid good money for. 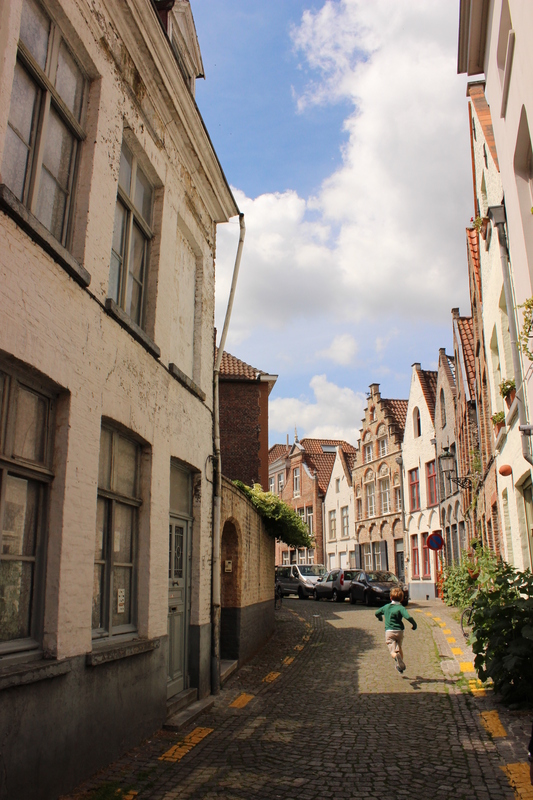 It was a great trip and we made the most of our three days in Belgium by exploring a different city every day. AMAZING TRAVEL TIP 1: Erin printed out maps from Use It Europe – this up-and-coming organization is putting together maps for tourists, by locals! They’re fantastic, colorful, and full of information you can only learn from a local. But best of all, they’re FREE! Before you travel, check their site and see if they have a map for your city. They’re constantly working on new maps so it can’t hurt to look. 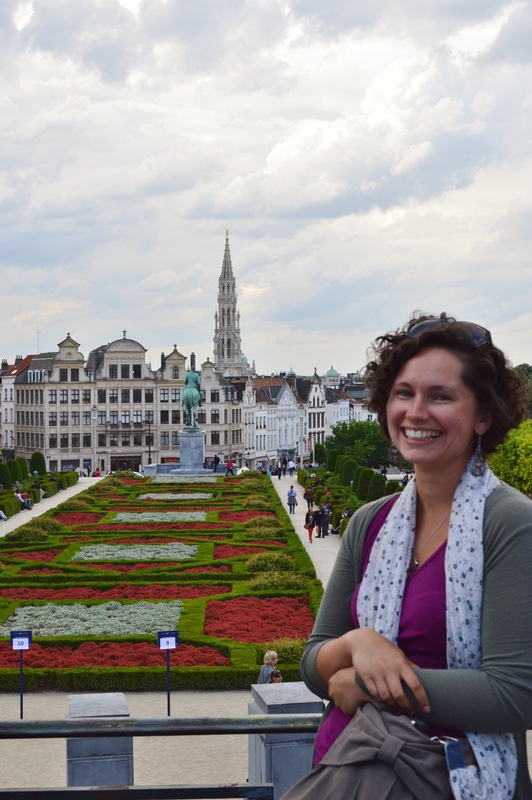 AMAZING TRAVEL TIP 2: Sandeman’s New Europe Tours are “free” walking tours all over Europe and are a really great way to see and learn about a city. I say “free” because while you don’t pay for the tour, you are expected to tip at the end. I think it’s a good system because these tour guides give you their time and knowledge and they deserve compensation for it, but it will still cost you far less than a normal booked-and-paid-for tour. 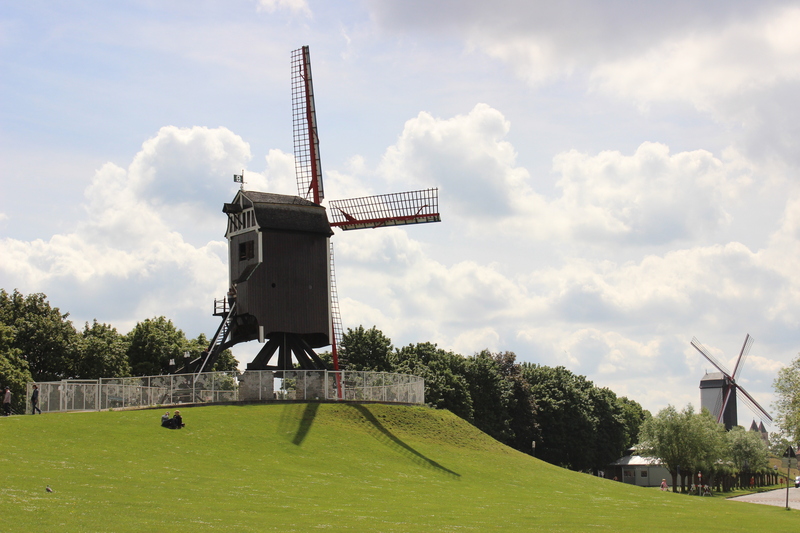 We flew into the Brussels airport in the morning and took the train to Brussels Noord station for €8,50. Apparently whenever you use public transportation to reach the airport, you have to pay a “Diabolo” tax. This devil’s tax is what makes the short trip so expensive. The Noord station was closest to our hotel, so we walked and dropped off our stuff before heading downtown to catch a free walking tour of the city. But first things first. 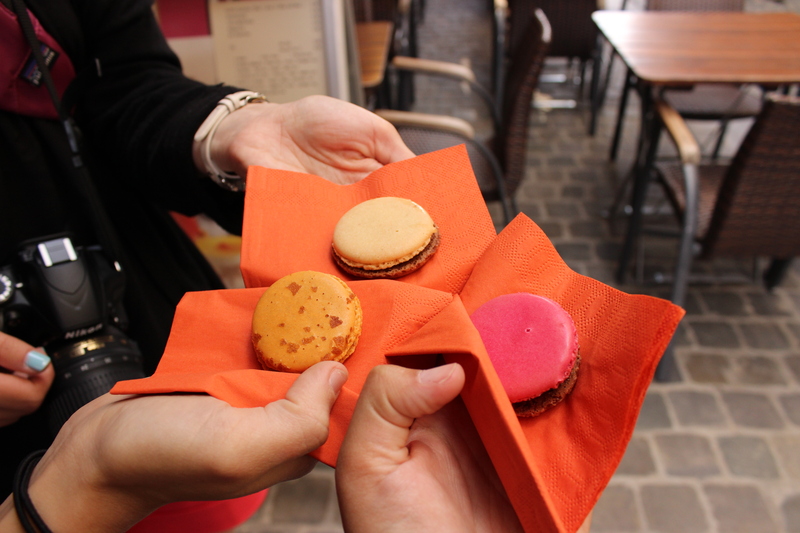 Being this close to France, we needed to get our macaroon fix. So much yum. 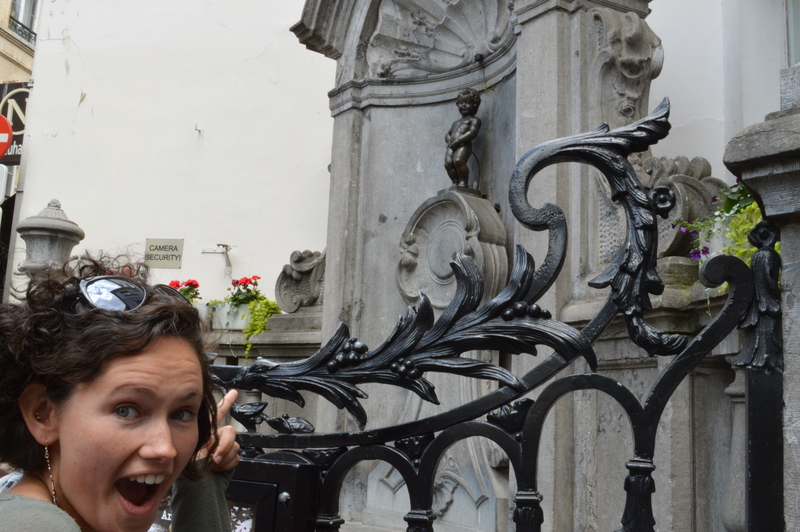 Our tour guide (Senna) was a local guy who clearly cares a lot about Brussels. He took us on a 3-hour walk around the city, showing us bits here and pieces there, and giving us a brief history of nearly everything. 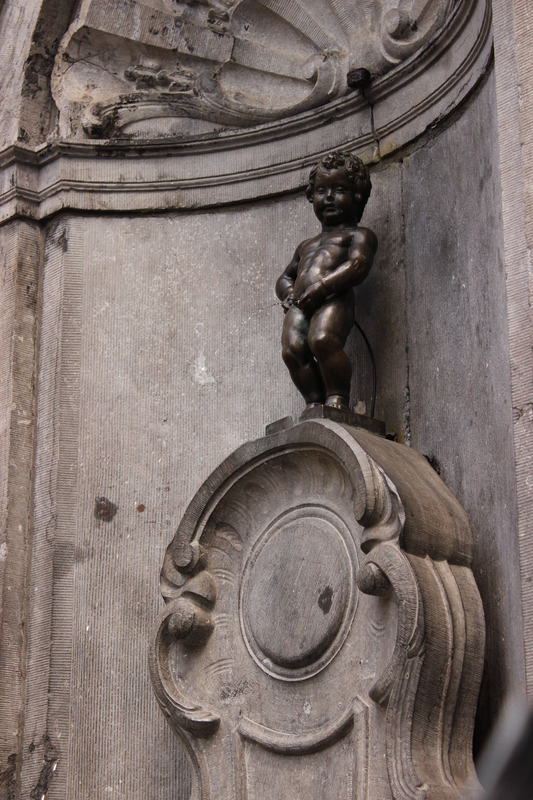 We learned that the Mannequin Pis (the little statue of a peeing baby) was actually knighted by King Louis XV and therefore all the French troops had to salute as they walked by. And apparently the little naked guy has his own tailor and a wardrobe of hundreds of outfits. Senna got very excited at the end as he proclaimed how the heroic Belgians stood up to Germany in WWI. It was a bit much, but it somehow struck me as genuine. It was a fun and informative tour, and despite my tired feet I was glad that we went. 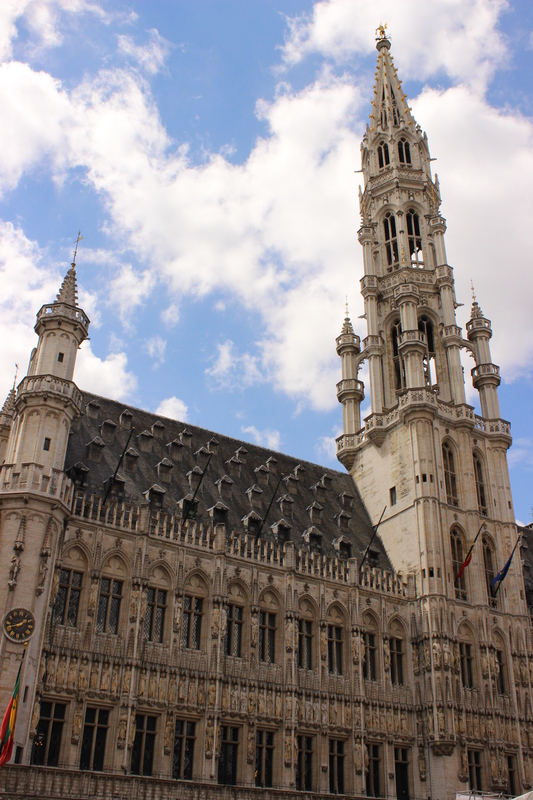 The main square of Brussels is called the Grand Place (say it like the French – “grahnd plahce”) and wow, is it gorgeous. 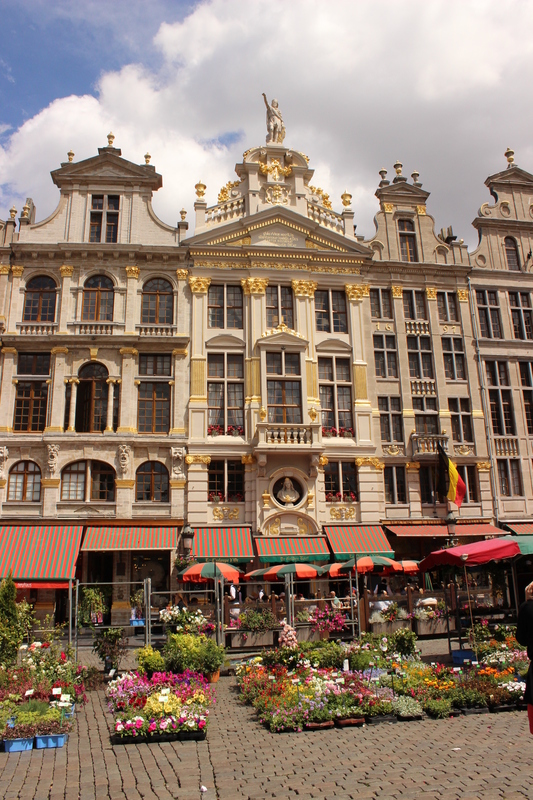 The buildings on all four sides are beautifully embellished and sparkling with gold all over. 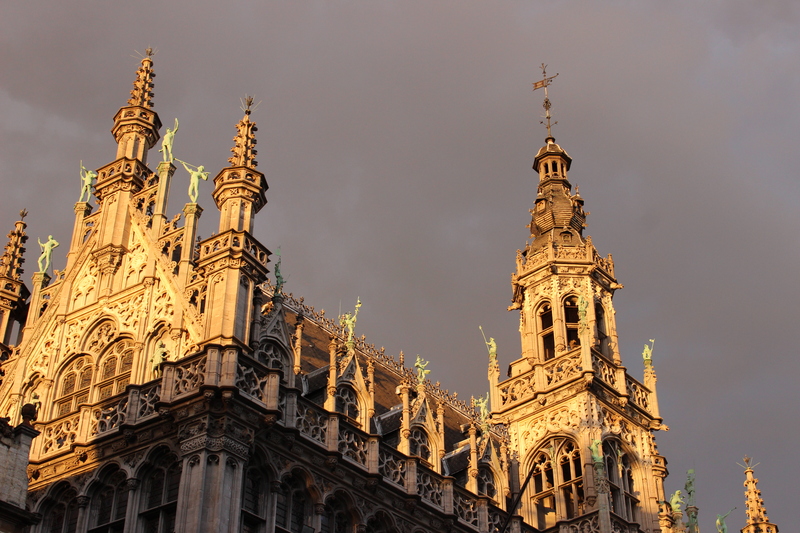 But the architectural masterpiece has to be the town hall with its towers, spires, and statues. 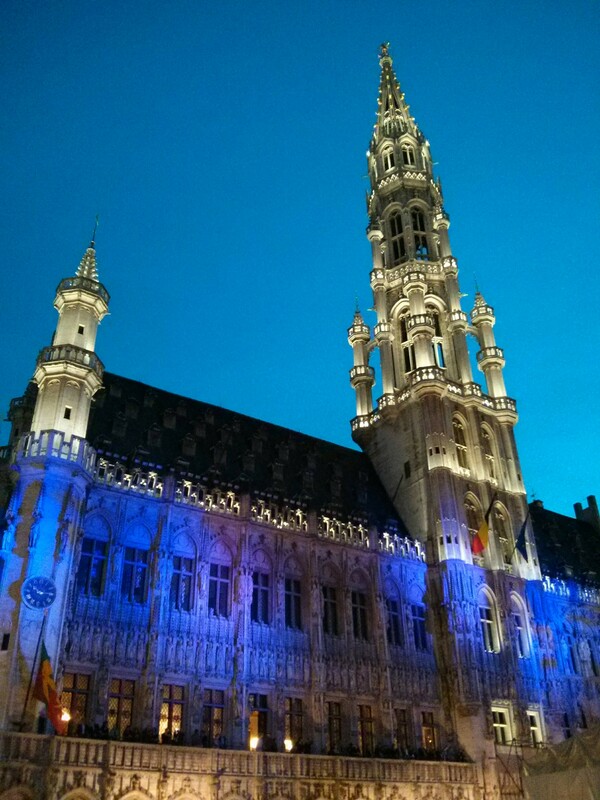 We were lucky enough to be in Brussels the same weekend as the jazz festival, and where else would they have it but the beautiful Grand Place. We sat out till late surrounded by delicious food, good music, and even better beer as we watched the sky grow dark and the plaza light up. It was enchanting. The next night (after returning from Antwerp) we ventured by metro (tram?) 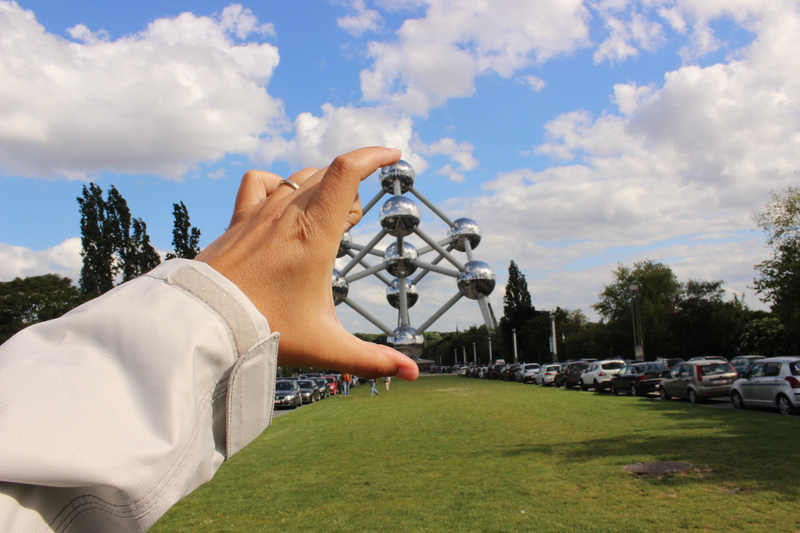 to the Atomium. As we were walking to it, I swear I saw a parrot fly over our heads. 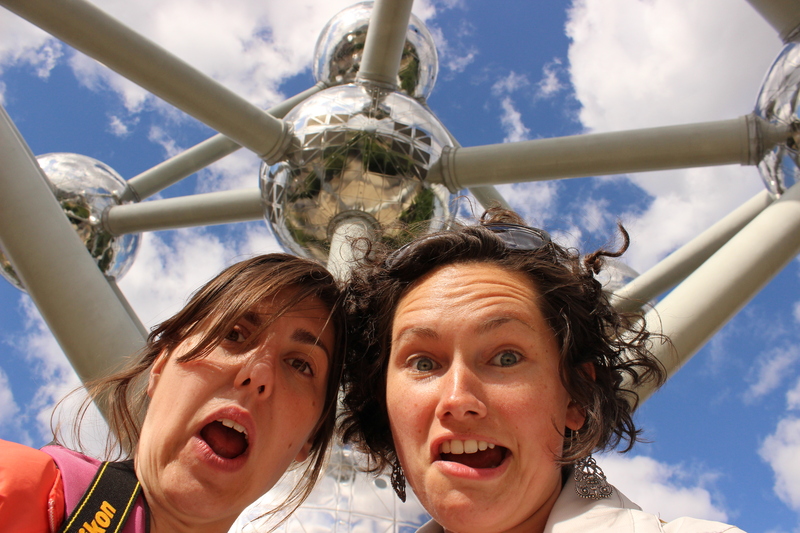 Anyway, the Atomium is, well… just Google it. It’s a huge building shaped like an atom, and yes, you can go inside. The spheres have exhibits and panoramas and I don’t know what else, because we didn’t want to pay to go in. Seeing it from the outside was bizarre enough. 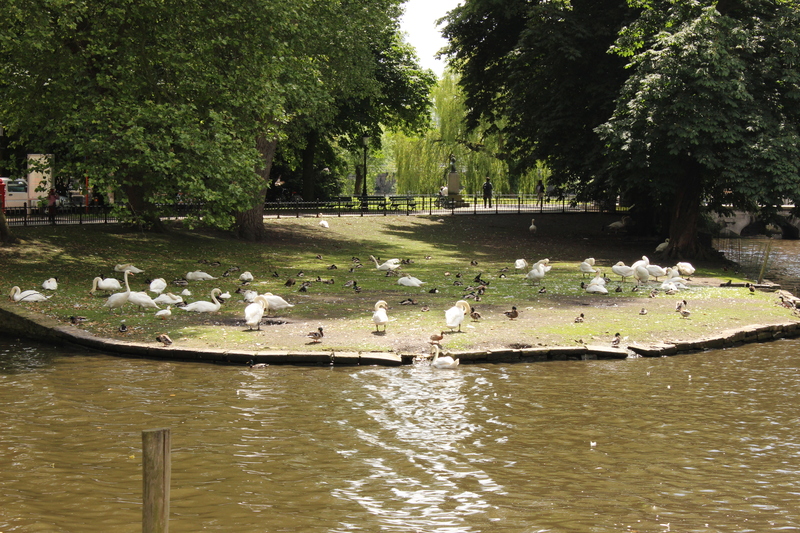 If we’d had more time, I would have loved to explore all the nature trails that surround it, as well as Mini Europe. That’s exactly what it sounds like. Our last evening in Brussels (after returning from Bruges) we spent walking around some of the areas we hadn’t seen yet. 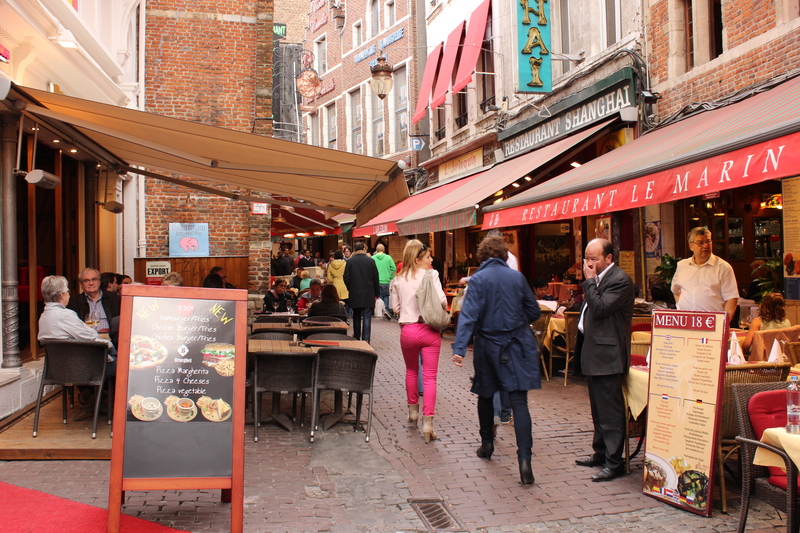 We walked through the poorest part of the city, followed by one of the richest. 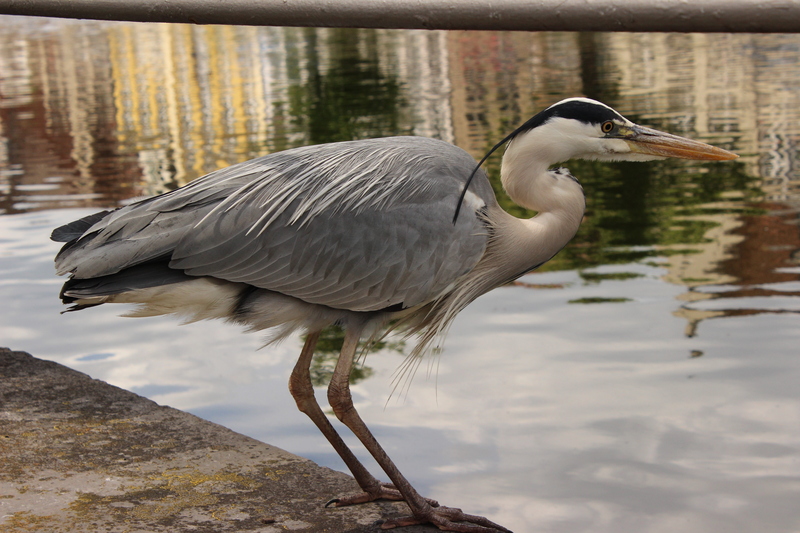 It was here in the Art Nouveau district that we saw MORE PARROTS! Proving that I wasn’t crazy after all. 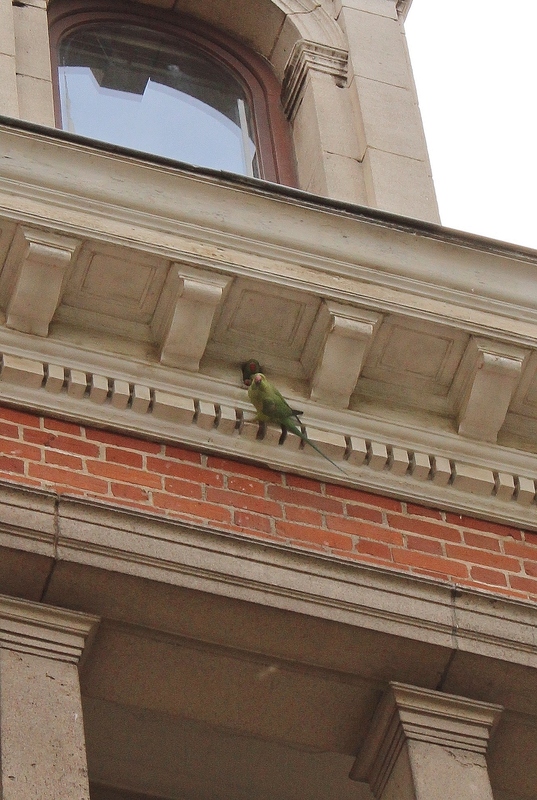 The story goes that in 1975 an amusement park owner let 50 of these green parakeets go, and now they’re thriving all over the city, but especially in this neighborhood. Good luck spotting them – they blend in awfully well with the green foliage, but they have a very unusual-sounding call. Make sure to keep your ears perked! We continued walking, determined to make it to the European Union area of town. 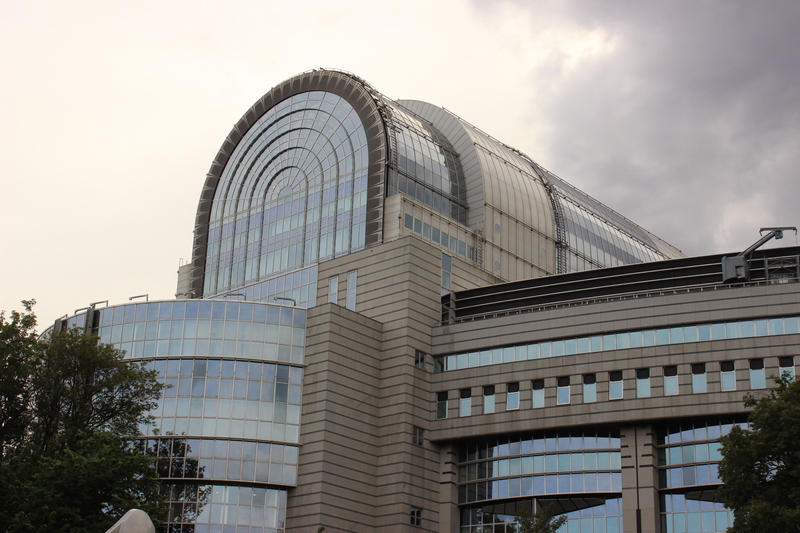 We saw the Council of the European Union, the European Commission, and last but not least, the European Parliament. These buildings are all near the Schuman Square if you want to find them for yourself (but really, just get a map from Use It because that’s how we found them). 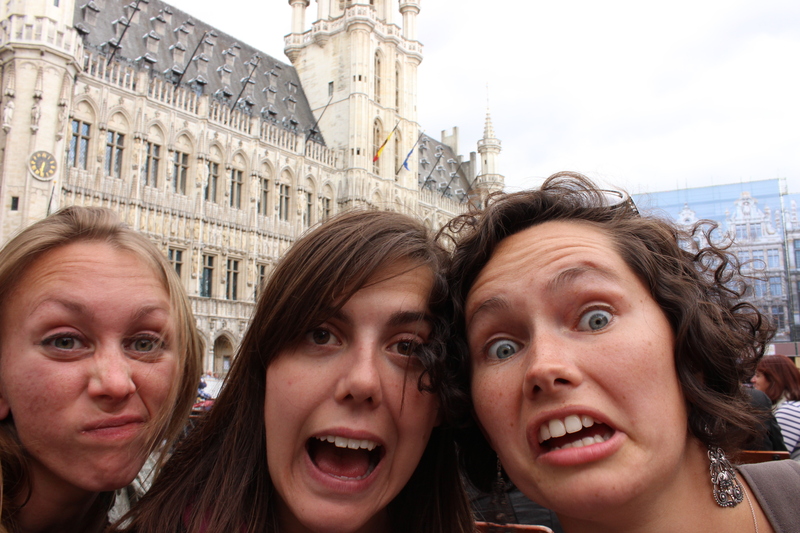 We saw just about as much as we could squeeze into the time we had in Brussels. I think we found a fantastic balance of exploration and relaxation, because no trip is complete without both. 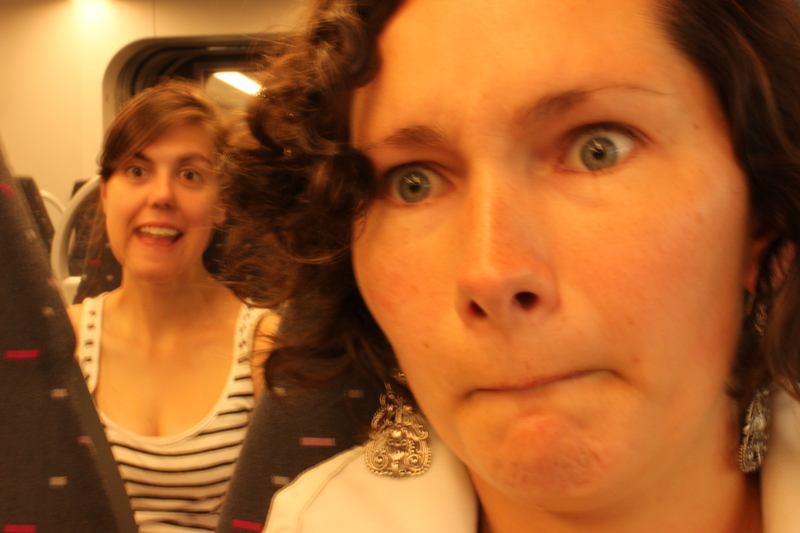 The next day we caught an early train to the city of Antwerp. 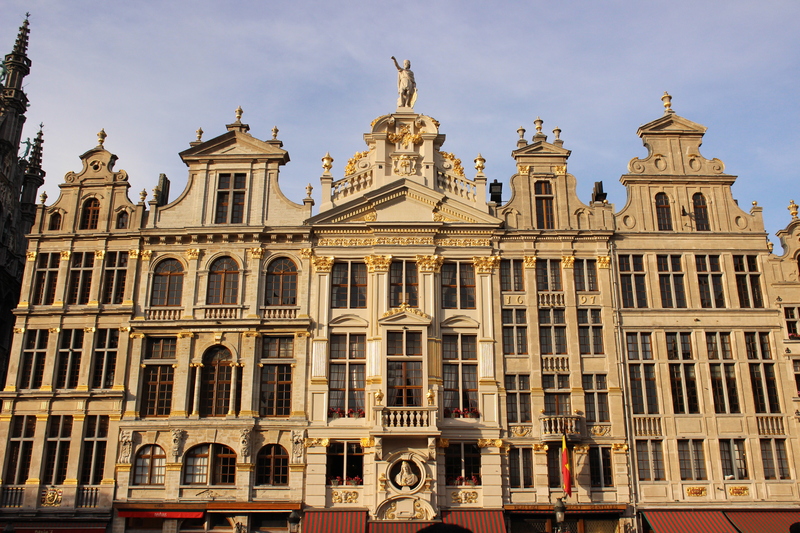 On weekends, Belgium offers a special fare to its rail travelers – you’ll get half off your return for any trip you take. My two-way ticket cost €8 and change. Not a bad deal! Tickets are easy to purchase from the tellers and would be even easier at the automatic kiosks if they hadn’t had trouble reading our cards. You buy your ticket for your day of travel and hop on ANY train going there. No fast vs. slow fares, no unnecessary validation – someone will come and check your ticket on every trip. TAKE A LESSON, ITALY. It was so nice to experience an efficient public transportation system again. 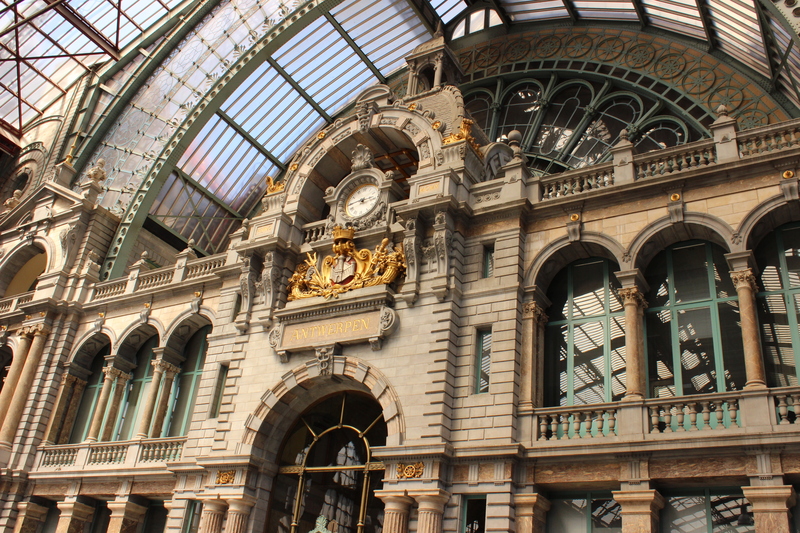 The ride to Antwerp was about 45 minutes and the Antwerp central station is very pretty indeed. We spent the rest of the day tiring our feet out some more. 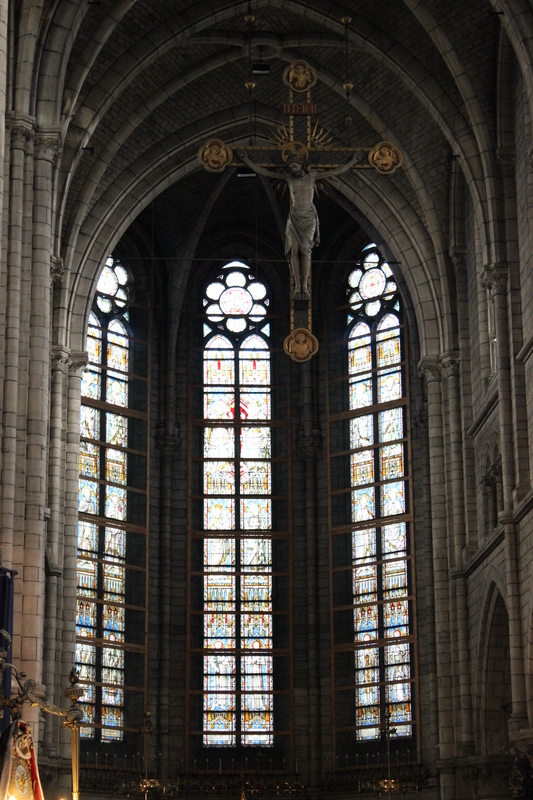 We saw several beautiful churches and got our first French, erm, Belgian fries. 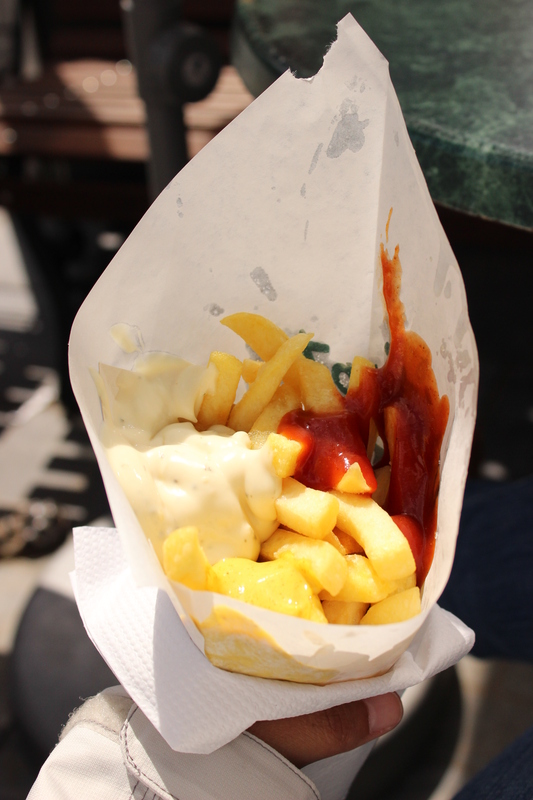 Belgians claim that their fries are the true fries, and they’re generally served with a dollop of mayo on top. However, there are about 4 million different sauces to try. Or maybe a dozen. My sauce triad contained curry ketchup, aioli, and curry sauce. They were all delicious. Have I mentioned the waffles yet? So there are two types. The Liege and the Brussels. 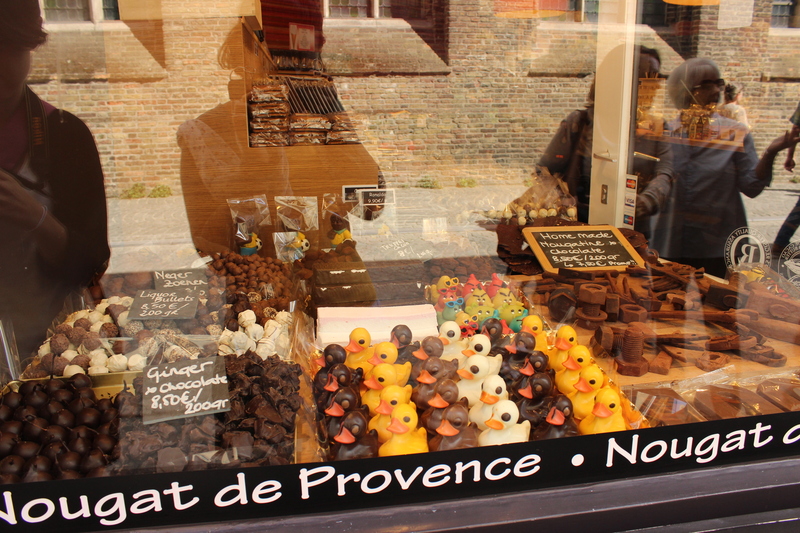 The Liege waffle was the only kind I had during the trip, but I’m sure it would be my favorite either way. The Liege is roundish characteristically has tiny pockets of crunchy sugar and caramelizes as it cooks, so it has a little bit of of a sticky glaze. Locals eat this heavy waffle as it is, without toppings. The Brussels waffle is square and does not have a glaze or sugar bits. Locals eat this one with powdered sugar. But whatever waffle you get, whether it’s a plain Brussels or a Liege covered in chocolate, strawberries, and whipped cream, you’re going to LOVE it. Because really, who are we kidding? We’re not native Belgians, so why not go crazy with the waffles while we can? I made sure to have a waffle every day as part of my balanced diet. Anyway, back to Antwerp! 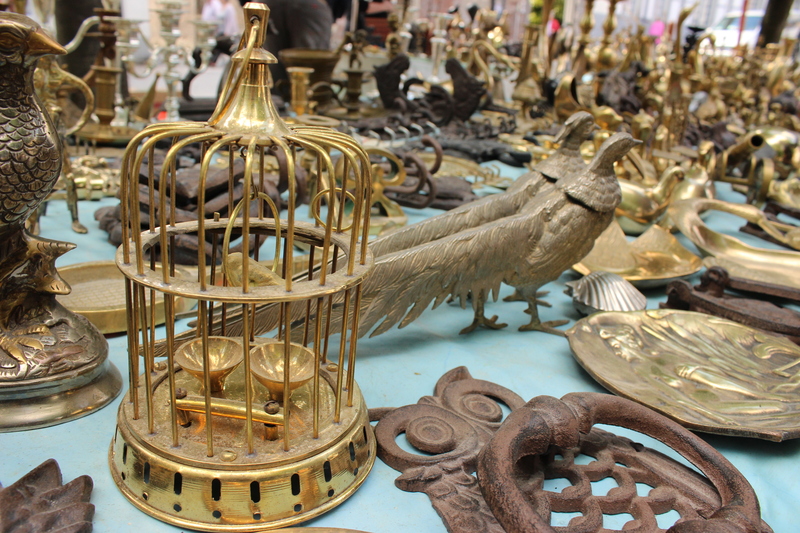 We spent a while searching for a “chocolate palace” on Meir street that actually ended up being the former residence of Napoleon. 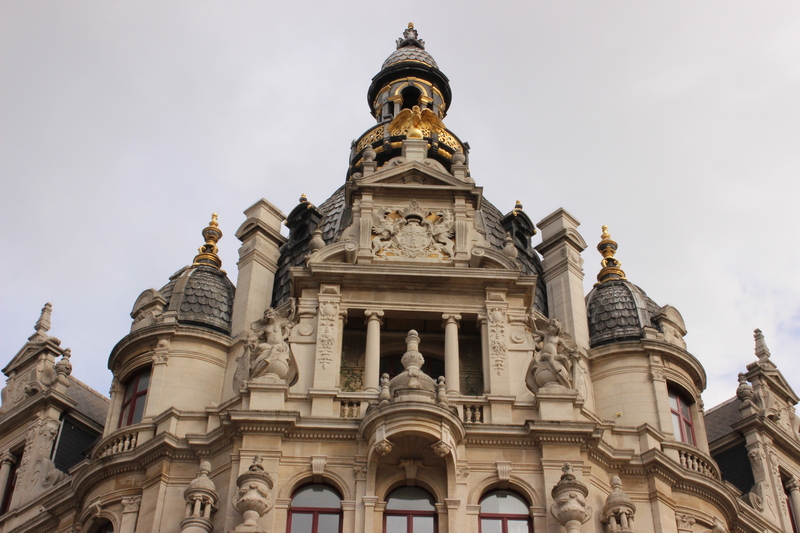 It’s not much of a palace anymore – it’s a chocolate shop. 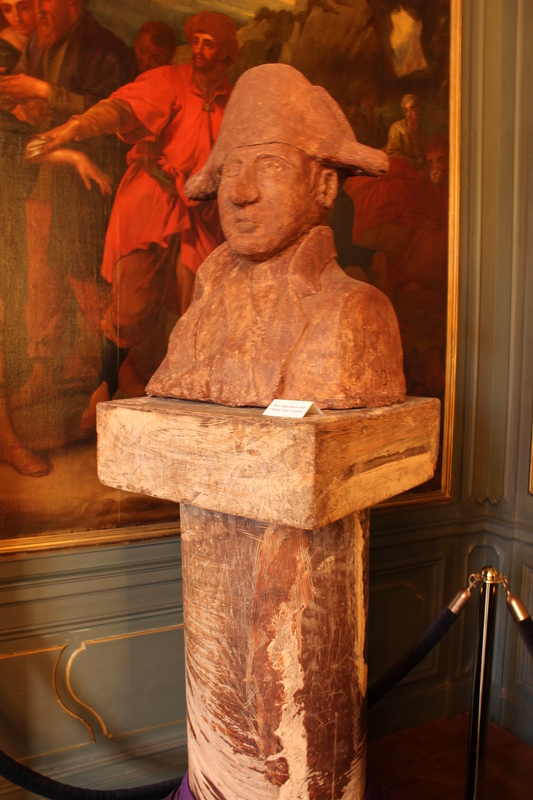 But it’s kind of fun to go in the back and see “Napoleon’s kitchen,” not to mention the chocolate bust of himself. 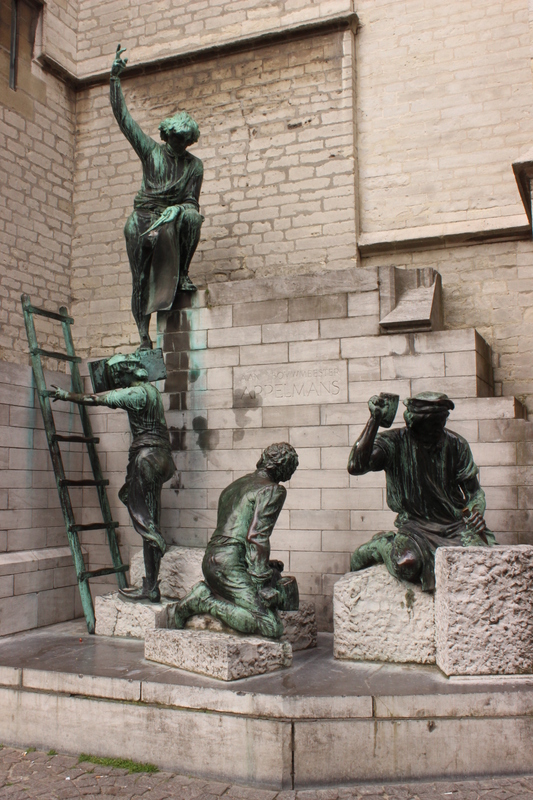 North in downtown Antwerp, by the river, you’ll find the Museum Aan de Stroom (MAS) which is dedicated to Belgium’s history and place in the world. Erin and I are not museum people. I wish I could say otherwise, but I don’t really like paying money to glance at exhibits and pretend to read plaques. But the MAS was worth the visit because believe it or not, you can go to the roof (on 10th floor) and see a 360* view of Antwerp for free. It’s the inside exhibits that require an entry fee. 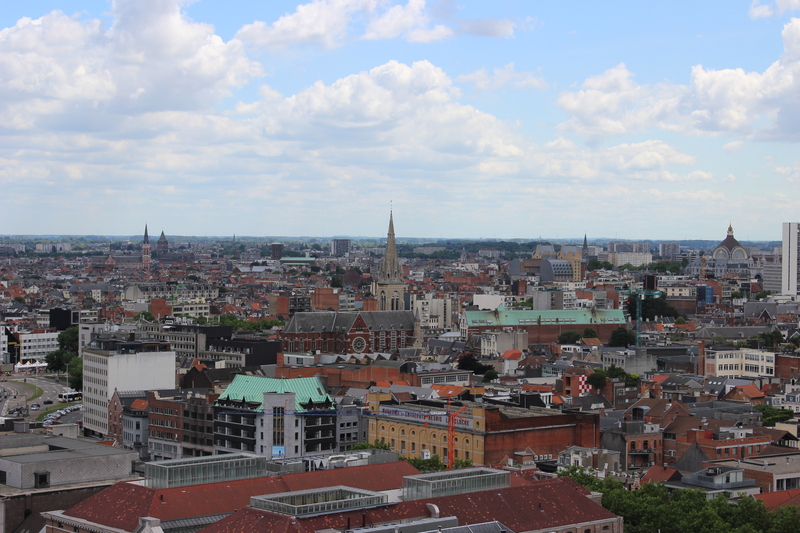 Unfortunately I can’t say that Antwerp is all that gorgeous from 10 stories up, but if you’re in the neighborhood you might as well check it out! It’s always fun to be up above a city, gorgeous or otherwise. 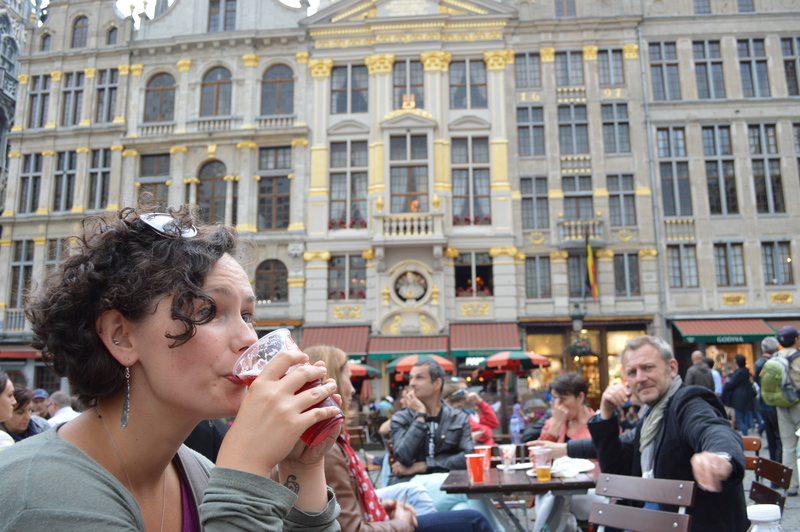 We went back to Brussels in the afternoon determined to go back downtown and soak up a little more of the jazz festival while we had the chance. 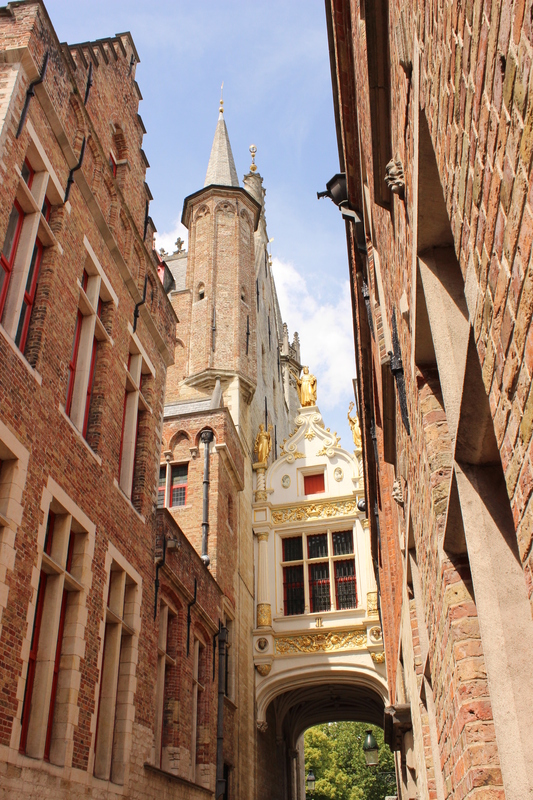 Call me old-fashioned (and let’s face it, I am), but Bruges might have been my favorite part of our trip. 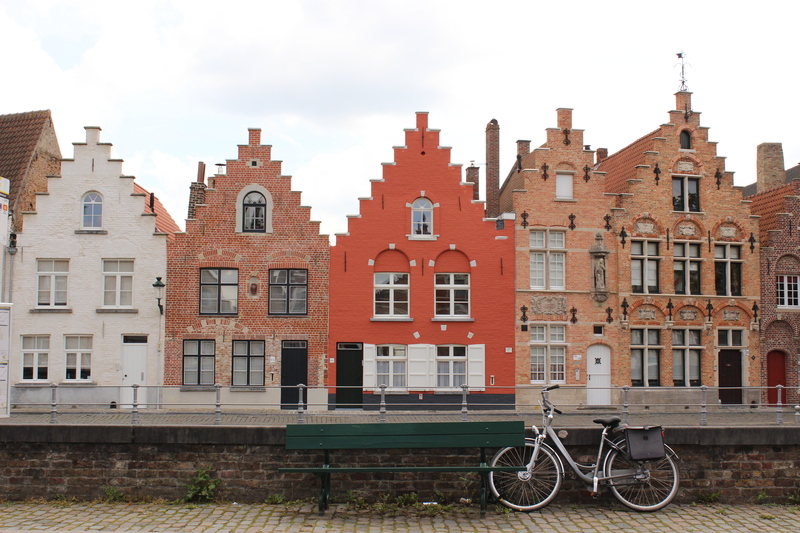 Supposedly Bruges is the most boring town in Belgium, and I can’t really argue. 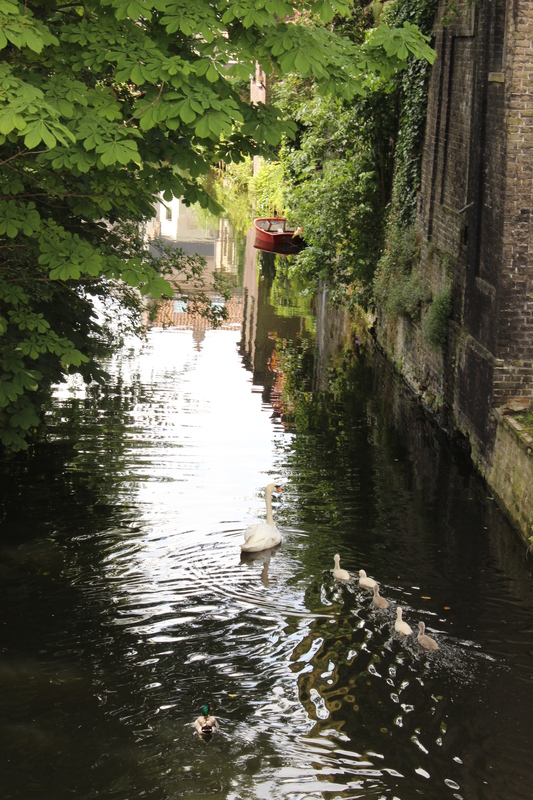 It was charming, and a striking contrast to the faster pace of Brussels. As much as I enjoy the time I spend in cities, it’s always a relief to be back in a quiet, relaxing place. The return ticket cost €15,20 and the ride was about an hour through beautiful, picturesque countryside. All we could see was green, cows and horses, and sweet grandma-bearing-cookies cottages all the way. 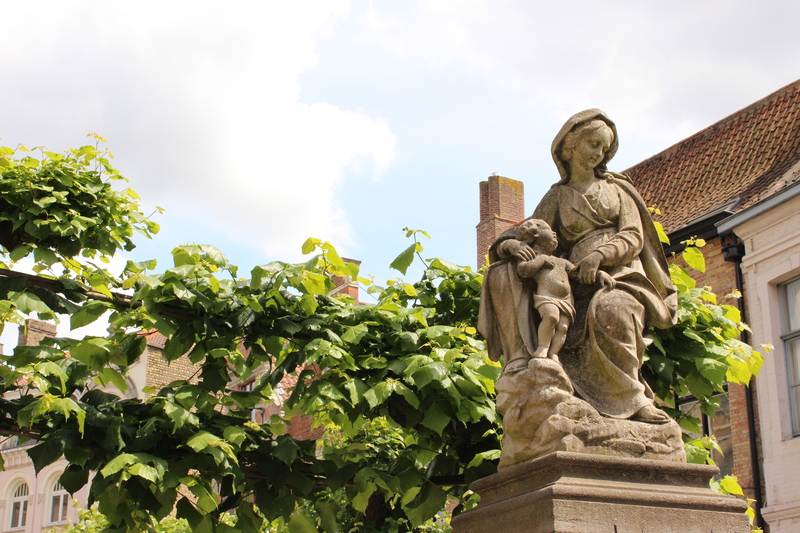 It was an appropriate prelude to the sleepy, medieval town of Bruges. 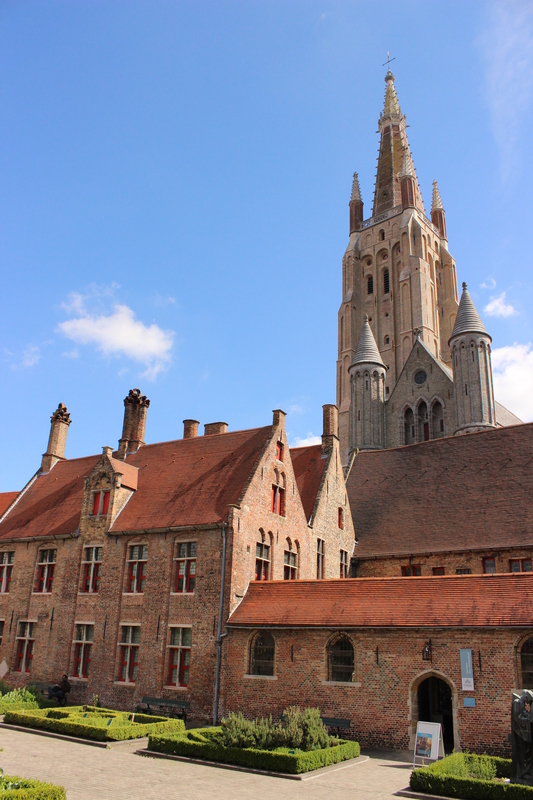 The Use It map Erin had for Bruges proved to be a great asset as we explored. Unfortunately, a few of the things we wanted to see were closed because we went on a Sunday. 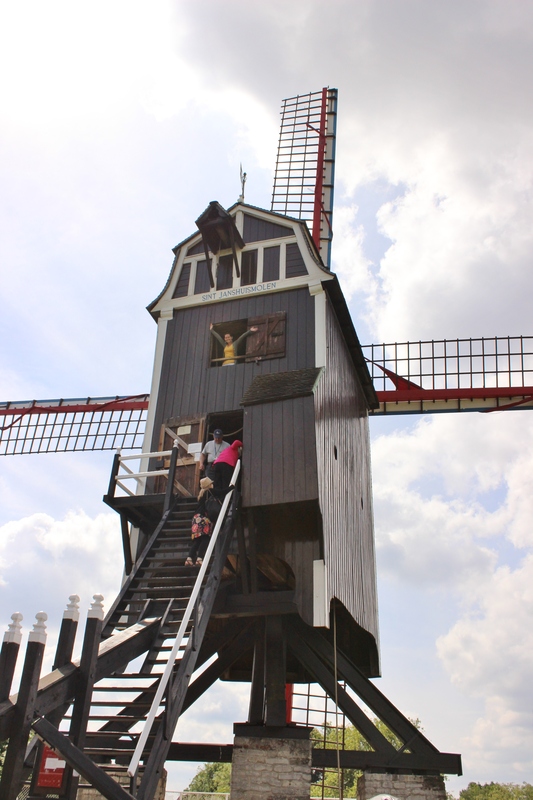 It couldn’t be helped though and we still got to see/climb/play in a windmill (that’s me in the window of the last picture! 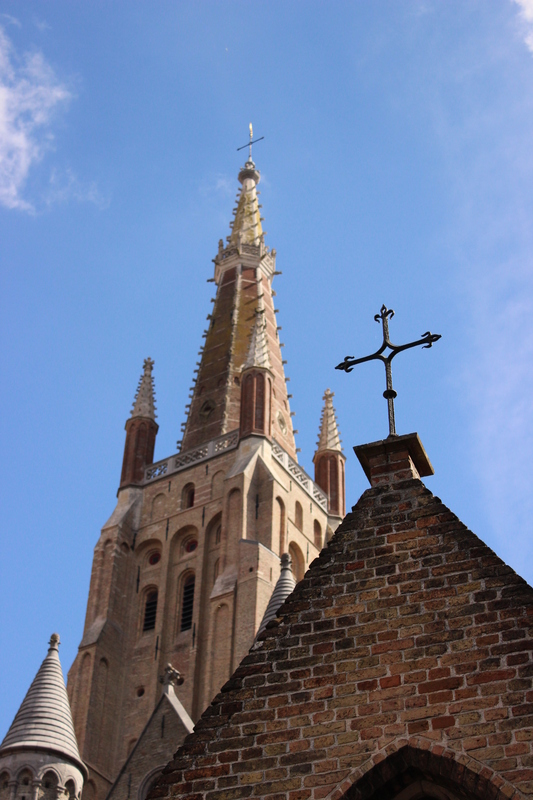 ), meet some of the local wildlife, and see the beautiful churches of the area. 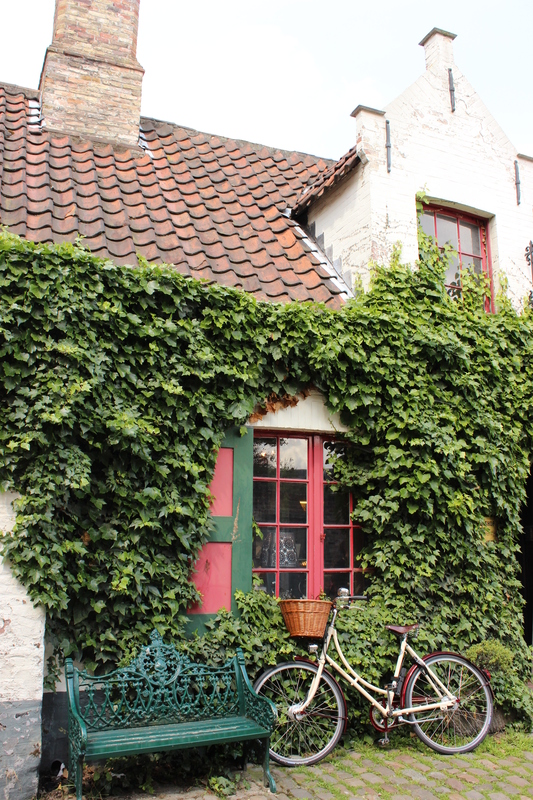 I was pretty in love with Bruges. 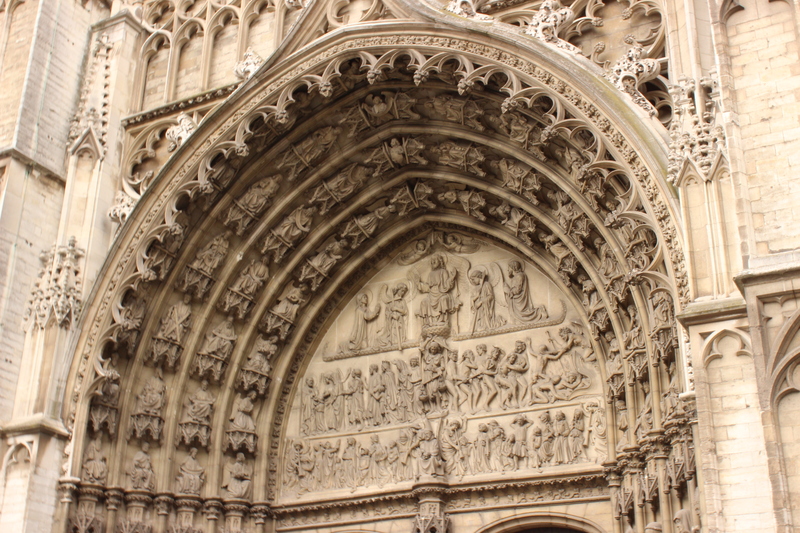 It reminded me a lot of Canterbury, a place that will always be in my heart and always feel a little bit like home. 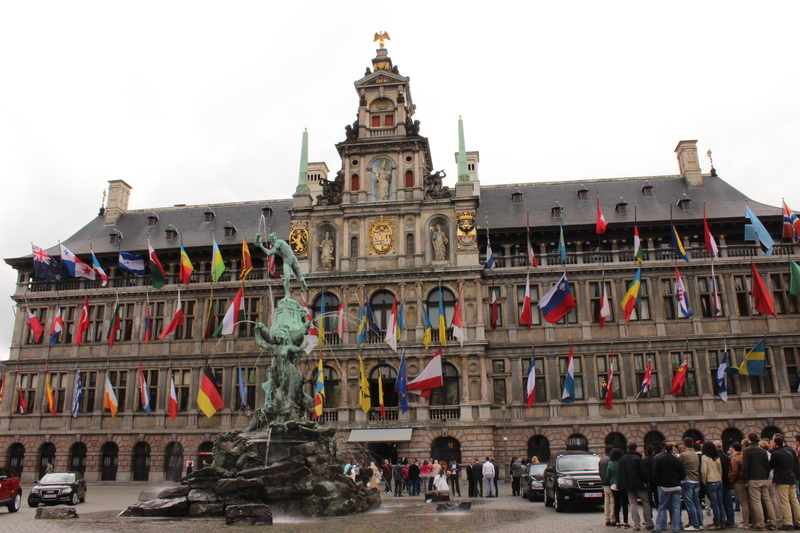 Belgium was fantastic, and it was easy because almost everyone spoke English (hear that, Italy?). It was full of friendly people who were always ready and willing to help, whether it was helping us with a map, taking a picture, or just stopping their cars so we could cross the street. In fact, it was kind of a weird experience now that I’m used to the “I’ll help you if I have to, but I won’t enjoy it” attitude that might as well be an Italian mantra. (I say “Italian,” but please take that with a grain of salt. 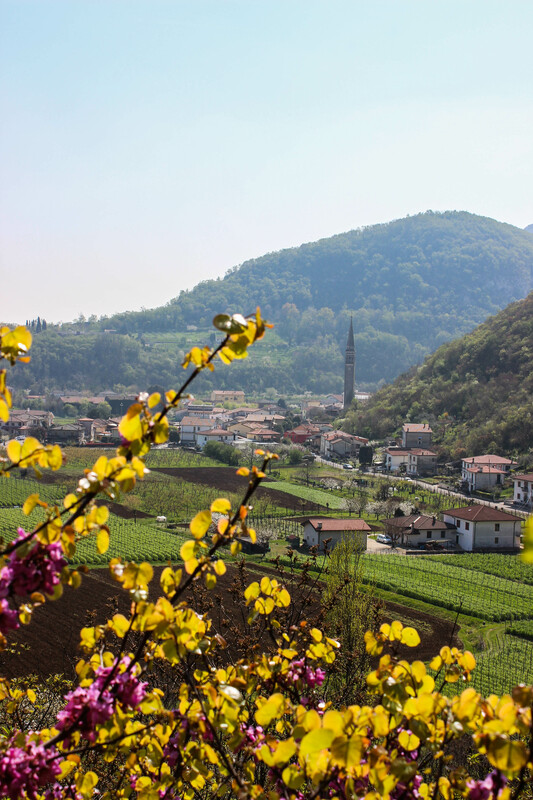 I live in northern Italy after all, and even southern Italians are known to call these people rude.) It was also weird to be in a place where the LINE is not just a vague concept. People waited patiently for their turns. I had forgotten how nice that is. 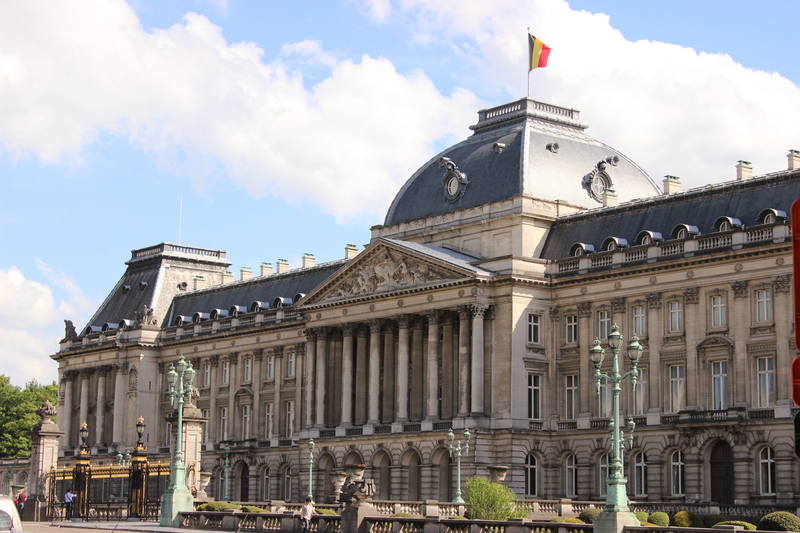 Brussels is primarily a French-speaking city, and it seems like it might be a tiny point of contention in the country. 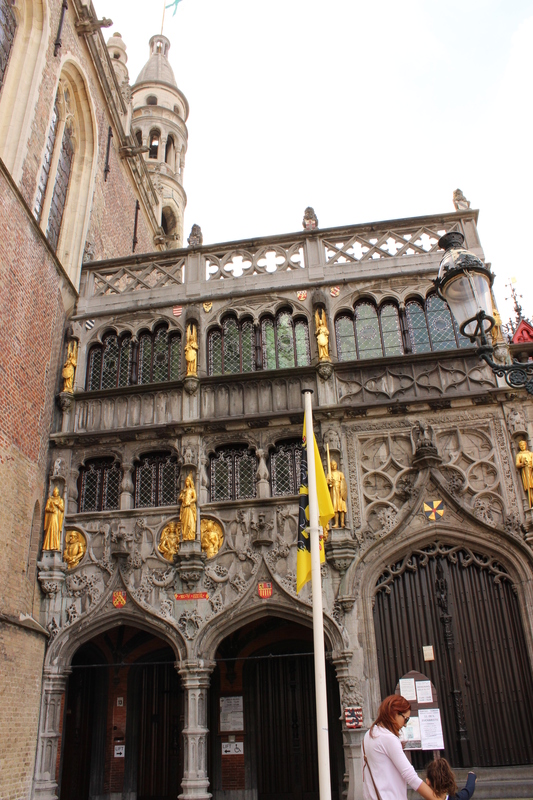 Bruges and Antwerp were no doubt Dutch-speaking towns, and all the people who were so friendly and eager to be helpful were Dutch-speakers. Perhaps the idea of the snotty French isn’t too far off? 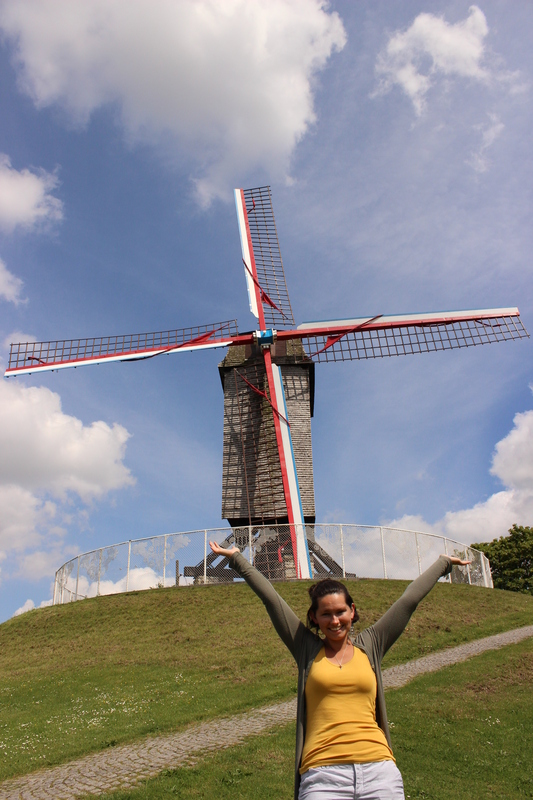 But one thing is for sure, the Dutch are LOVELY. Ah, I almost forgot to mention our hotel location! We stayed at the Hotel Belmont (Sounds fancy. Isn’t.) if you care to look it up, and the first night we discovered that this area is a bit of a hot spot for Ladies of the Evening. They didn’t bother us at all, but it was kind of entertaining to count how many were working the corner every night on our way back to the hotel. I was hoping to make it to an even dozen hookers, but alas, our high score was 11. TIPS AND WARNINGS: When visiting Belgium, make sure you wear adequate footwear. I know that seems like common sense, but I brought two pairs of shoes and neither ended up being very good. Make sure you bring something with LOTS of support. Not only will you probably be walking all day, but you’ll also be walking on uneven cobblestone. It’s hard to walk on. It gets painful. Afterward, Erin and I had aches and pains in places we forgot we had. And Erin wore hiking boots most of the time! Just be prepared for sore feet. Now. About the gypsies. The gypsies we encountered in Brussels were actually worse than any I’ve dealt with here in Italy (so far). We had two run-ins with little girls in Brussels within that one weekend. The first one was in the train station. She looked about 12 years old and took a cup of coffee out of Rachel’s hand as she sat there and watched. I had to jump up take it back from the brat. The second came over to our table as we sat and enjoyed the jazz festival in the square. I had just bought a bag of macaroons to bring home and this girl (probably about 6 or 7) walked up and reached across me to take it. I grabbed her arm and said no, and she slunk away into the crowd. If they’re willing to take your stuff right in front of your eyes, think of what they’ll take if you’re not paying attention! CONSTANT VIGILANCE! And keep in mind that the children seem to do the most dirty work. Watch out for the little ones. 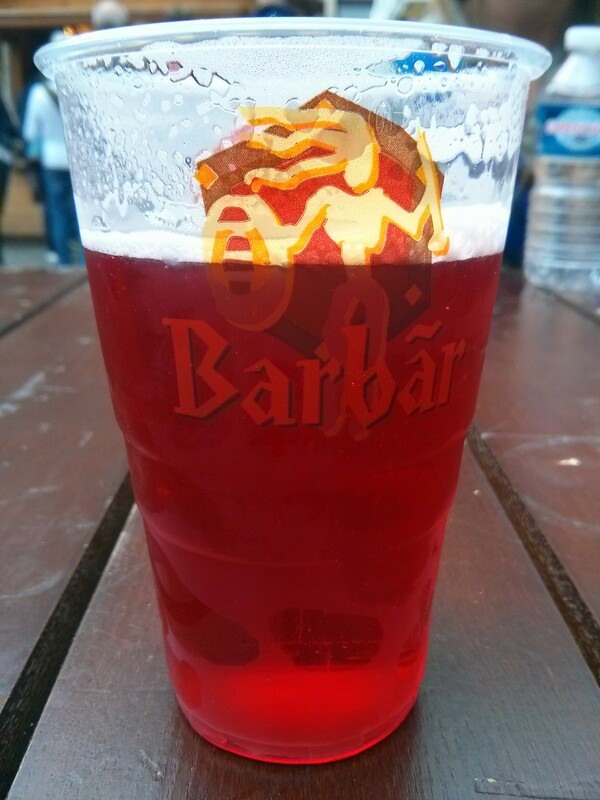 This entry was posted in More in Europe, Travels and tagged Antwerp, beer, Belgium, Bruges, Brussels, destination, Dutch, French, Jazz, More in Europe, travel, waffles. Bookmark the permalink.